The French Alps are on many avid skiers "bucket lists", but the expectation that the price is prohibitive prevents many from even exploring the possibility. Extra costs for lift tickets and lessons can escalate quickly. But in Valmorel France, the all-inclusive Club Med ski resort makes managing the cost easier than ever. The concept of the "all-inclusive" resort gained huge popularity in 2001 when Club Med launched this convenient way for families to manage budgets and avoid most of the dreaded "add-on" costs, which pop up on a vacation. Having activities and food (and alcoholic drinks) included proved to be a huge attraction, particularly for hot climates. The term "all inclusive" still conjures up images of sandy beaches and blue oceans, but both the company and the concept have recently moved up...way up. With a staggering 18 ski resorts in the Alps (spread across France, Switzerland and Italy) the all-inclusive alpine experience is one that families are quickly embracing. Besides the expected inclusive airfare, transfers, food and open bar, clients also have their lift tickets, equipment storage and ski or snowboard group lessons for the whole family covered. The Valmorel Club Med (located a two hour drive from Lyon, France or a one-hour drive from Geneva Switzerland) opened in 2011 with the family ski concept firmly in mind. Besides individual chalets, the lodge includes suites which can easily accommodate a family of four in a stylish, yet compact series of rooms with a king bed, two twins, a sitting area and two separate washrooms. Basic "club" rooms are also available. For families with babies, a "Baby Welcome Kit" is arranged, with bottle warmers, cribs and other amenities set up in the room prior to arrival. Because the altitude of Valmorel is not extreme, many families with young babies and children choose to come here, as it is easier on their more delicate respiratory systems. Baby Club Med is offered to children aged four to 23 months, after which time they can take advantage of the included group ski lessons from age four and up. If the children require babysitting, Club Med offers a "Pyjama Club" from 7p.m. to 1a.m., or in-room babysitting can be arranged as well. The ski-in/ski-out feature is one that easily accommodates beginner skiers, both young and old. The two restaurants (one buffet, one menu) offer a terrific selection of fresh food from the region, and the Baby Corner offers fresh ingredients and a food processor for parents to make their own baby foo (pre-made is also available). After dinner, the G.O. 's (or Gentil Organis ) put on a stage show and entertain kids and parents alike. Free Wi-Fi is also an expected and welcome feature. An indoor/outdoor swimming pool and hot tub are the perfect end to a day of skiing. The village of Valmorel is a free five-minute shuttle bus ride away. Established in 1976, it offers a selection of ski shops, restaurants, a bakery, cinema and town music hall for shows and celebrations. The ski season is set to open December 14, 2014, to run until April 12, 2015. Club Med is also introducing a "City Visit" idea in winter 2014/15, which will offer select hotels and transfers to and from Paris as an add on at the start or end of the Valmorel ski resort experience. Club Med's newest Five Trident resort will open in December, 2014. 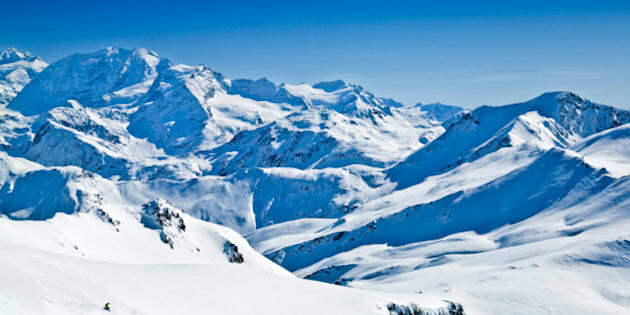 With spectacular views of the Val Thorens ski area (home of the famous Evian bottle peaks and Mont Blanc), this resort is expected to become the jewel of the French Alps. Air France has a selection of times to fly from Toronto, including overnight. Lyon Is a two hour train ride, and a two hour drive to Valmorel, or guests can continue on to fly into Geneva, which is an hour drive. Costs at time of writing, on the Club Med website is approximately $6,000 per couple, which is comparable to a do-it-yourself trip to Whistler. Visit www.clubmed.ca for details.